A player by the name of Linsneakers runs a YouTube channel with a humble 23 subscribers. A few days ago, they announced the channel was going on hiatus because of a copyright strike for a Persona 4: Dancing All Night video. They aren’t alone. In the past week, Persona publisher Atlus has been on a YouTube tear. If things stay as they are, Linsneakers’ channel will be in bad standing until April 2016, at least six months from now. That’s a long time. With a single copyright strike, your channel can have video upload limits severely limited, monetization disabled, and YouTube can decide to totally disable your account. As it turns out, atlustube is the official Japanese YouTube channel for Atlus, a company based in Tokyo. Stoneious had a whopping nine subscribers when this happened. He deleted the rest of his videos, hoping to curb further action from atlustube. So far, he’s seemingly in the clear, but like Linesneakers, his YouTube account is restricted for the next six months, when the strike’s punishment is lifted. Dealing with counterclaims on YouTube is confusing and scary. YouTube warns content creators to be careful about disputing a claim they’re not 100% sure about; there can be permanent consequences, like having a channel deleted. Curious, I dropped the term “atlustube” into Twitter, wondering if more people had run into similar issues. Unsurprisingly, others had seen strikes from atlustube. The pattern? Targeting videos from small channels. We’re not talking YouTube stars with millions of subscribers, people making careers out of talking over video games. These are fans doing stuff in their spare time to an audience of basically nobody—videos released to the world, seen fewer than 100 times. RJC of the YouTube channel The Compendium has been dealing with this issue since July, when Atlus leveraged a copyright strike against him for a Persona 5 trailer reaction video. His videos were limited to 15 minutes, which was a problem; much of what he’d been uploading to YouTube was Let’s Play videos. 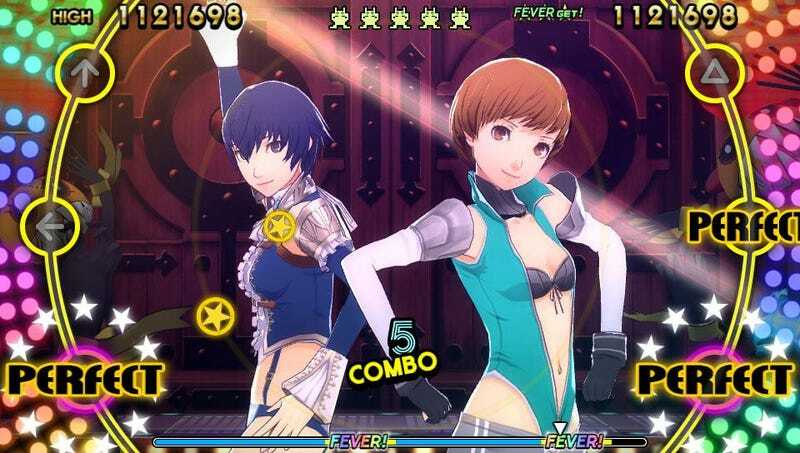 Like other Persona fans, RJC was psyched to share his playthrough of Persona 4: Dancing All Night with the world, so he started uploading videos to YouTube. While at a friend’s house, Atlus decided to target him with a series of copyright strikes that went beyond a 15-minute upload limit: his channel was now dead. Then, a weird thing happened. RJC’s fans told him to contact Atlus, see if they might help out. A few days later, his YouTube account came back from the dead. “We’re gonna be careful about not getting our channel removed again,” he joked in the video. RJC didn’t go into detail about what happened with his channel, nor did he respond to my emails about the restoration in time for this story, but I have a theory. A number of times now, I’ve heard from players who’ve successfully plead their case to Atlus USA and had copyright strikes from the Japanese side removed. This doesn’t seem to be an official policy, but where there’s smoke, there’s fire. “If anyone is concerned about the content they upload to their channel, I’d recommend they get in touch with atluspr@atlus.com beforehand,” said Atlus USA spokesperson John Hardin when asked about the copyright strikes. The company declined to speak about specific cases, instead pointing me back towards its recommendation that YouTube creators reach out the company. It certainly seems like one side of Atlus has a different view on YouTube than the other, with the American arm siding with fans wanting to share videos. Japanese video game companies having confusing policies when it comes to services like Twitch and YouTube isn’t new. Square Enix’s restrictions for Dragon Quest Heroes, which technically forbids players from streaming the game on Twitch without muting its music, are ridiculous. Even Nintendo ran afoul of YouTube’s most popular when it demanded they hand over a slice of revenue. My guess is this won’t be the last time I’m writing about this, but hopefully Atlus figures out how it wants to handle YouTube before Persona 5 is released.